Jet lag can put the brakes on the most exciting vacations. It affects more than our sleep cycles. Read here to know how jet lag affects internal organs. Jet lag can put the brakes on the most exciting vacations. Almost everyone who has ever flown across time zones knows what it feels like. The experience ranks somewhere between eating day-old cooked oatmeal and nursing a hangover. These food and drink metaphors aren't just a coincidence. Jet lag, it turns out, affects more than our sleep; it affects our internal organs as well. Given what is known about the importance of intestinal bacteria (called the microbiome) and their connection to immune function and well-being, it's clear that any discussion of jet lag, and how to deal with it, needs to consider "gut lag"as well. 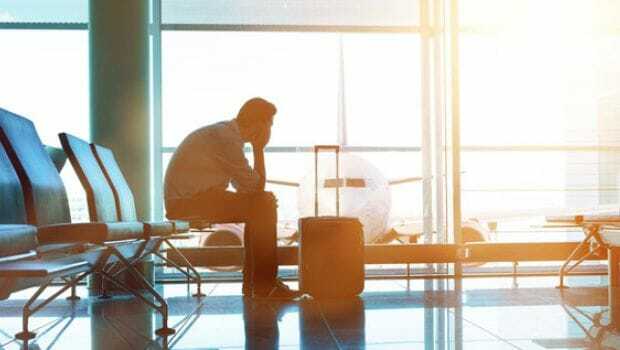 The issues begin with the fact that air travel across time zones disrupts our circadian rhythm -- the human internal clock that evolved over millennia to match Earth's 24-hour cycle of light and dark. This is the first study to compare exercise's effects on the body clock, and could open up the possibility of using exercise to help counter the negative effects of jet lag and shift work. Travelling through multiple time zones is often out of sync with our body's internal clocks which causes jet lag. Most common symptoms of jet lag can be nausea, disorientation, gastrointestinal distress and trouble concentrating. When you fly into a new time zone, your core body temperature doesn't recognize that change and instead continues to dip according to the schedule of the place you have left. If you are awake or wake up before the dip, you are much more likely to feel groggy or out of sorts, especially if you are exposed to light while your body temperature drops. That's because light and temperature signals come into conflict with each other: The light tells you that you're wide-awake; the temperature signal tells you that you're about to enter the deepest point in your sleep. This is when you will mostly strongly feel the unpleasant symptoms of jet lag. While there aren't a lot of high-quality studies on adjusting to new time zones, experts say tinkering with our exposure to light and darkness can help this transition and gently synchronize the different signals. As an example, someone six hours east from Washington to Paris who ordinarily has a core temperature dip at 5 a.m. will experience that dip at 11 a.m. in Paris. 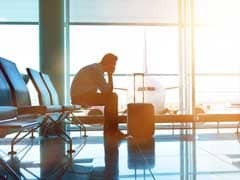 Ideally, that traveler should avoid light (using dark glasses or eyeshades while waiting for a connecting flight, or drawing the curtains of a hotel room) until 11 a.m. This will cue the body to feel rested, aligning light signals with temperature signals. 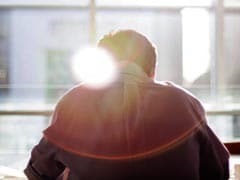 When you seek light after that point, you're cuing your brain to make you feel less sleepy just as your core body temperature is beginning to rise. Most sleep experts give a thumbs-up to short naps, and they are OK with longer naps as long as they don't get in the way of adjusting to the desired sleep patterns in the new time zone. The same approach goes for jet lag after sleep deprivation, when it's time to make up for the lost sleep. Travelers should attempt to hold off on sleep until night at the new location, and then optimize darkness and reduce exposure to noise to get a good night's catch-up sleep. Also, avoid using caffeine to get you through that daytime jet lag: While it can help you feel alert during the day, it can interfere with sleep quality if taken within six to eight hours before bedtime at your new location. Travelers often use other sleep aids, such as prescription sleeping pills. The quality of studies isn't sufficient to recommend them for jet lag adjustment, though they can help those suffering middle-of-the-night insomnia. While these schedules are regulated in part by a master pacemaker in a tiny region of the brain, called the suprachiasmatic nucleus, time change may affect different organs differently. The most obvious sign of this is "gut lag" -- feeling hungry (or having no appetite) at the wrong times, experiencing constipation or having an urge to use the bathroom at unexpected times. There is even evidence that gut lag can affect the intestinal microbiome (those bacteria colonizing our gut) and make us more susceptible to traveler's diarrhea. That's in part because disrupting the daily rhythms of our 100 trillion intestinal microbes can impair their immune function. One final caveat about advice regarding jet lag and gut lag. Despite the amazing influence of the cycle of dark and light, we're all slightly different. Some people are naturally early birds; others are naturally late risers. There's even an online "morningness-eveningness" quiz you can take that tells you if you're a lark or an owl, and the results may explain why jet lag advice might not work for everybody in the same way. In addition, our tissues have multiple clocks with varying effects, and some of our internal parts take longer than others to adapt to time shifts. Given this complex interrelationship involving our brain, our other organs and the rhythms of light and dark, there's no one-size-fits-all advice for travelers. It may take several trips across time zones and experimentation with light exposure, sleep patterns, melatonin and diet before you've figured out what works best for you.